B.J. (Billy Joe) Thomas enjoyed considerable success in the USA from the mid 1960s to the late 1980s in both pop and country fields. He also had some international success, notably with his recording of "Raindrops Keep Falling On My Head." 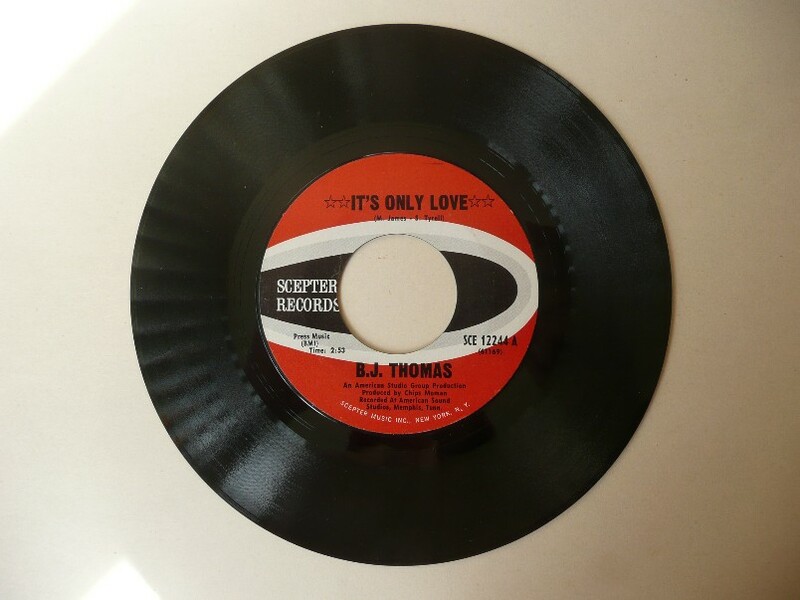 "It's Only Love" was issued on Scepter 12244. Since the late 1980s he has been active in the field of Christian music. Mark James also wrote "Always On My Mind," "Moody Blue," and "Suspicious Minds."